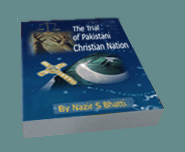 After the arrest of dozens of Christians under section 295-B & C of Pakistan Penal Code, subject to death penalty, The PCC decided to challenge the said law in higher courts of law to seek justice when with fear of implication and arrest under this law, Christians were completely silent. PCC through the president of PCC filed a writ petition to repeal blasphemy laws in the Lahore High Courts. The Writ Petition no 15048/97 in Lahore High Courts, versus, federation of Pakistan through secretary Law and parliamentary affairs Islamabad, under Article 199 of the constitution of Islamic Republic of Pakistan,1973, for direction to respondents for making necessary procedural amendments in section 295-C of PPC in the interest of democracy, freedom, equality, tolerance and social justice for promotion of political unity among the citizen of the state and solidarity by creating an egalitarian society and for harmonious environment among the citizen of the state. Praying that in prevailing circumstances its respectfully submitted that instant writ petition may kindly be accepted. A division Bench of the Lahore High Court comprising of Mr. Chief Justice Sheikh Riaz Ahmad and Mr. Justice Faqir Mohammad Khokhar on July 1,1997, disposed of this writ petition with remarks that this court was not competent to amend or repeal any law maintaining as the blasphemy law under section 295 C PPC has come into effect through the Federal Shariat Court, therefore that court is appropriate forum to take up this matter. In views of the dismissal of this writ petition in the Lahore High Court the Pakistan Christian Congress central council decided to file writ petition in the Federal Shariat Court Islam Abad. PCC filed writ petition no 8-1/97 in Federal Shariat Court versus federation Of Pakistan, to repeal section 295-c PPC as the said law being un-Islamic and un-constitutional. Praying that it was felt to great extent, that section 295 C of PPC has created frustration among the citizen of the state and built an iron wall between the communities. It has provided machinery for taking life of innocent citizen in retaliation. even law enforcing agencies have badly failed to afford protection of life and liberty as guaranteed under Article 9 of fundamental rights by the constitution of Islamic Republic of Pakistan 1973, ' no person shall be deprived of life or liberty save in accordance with law ' Its important that after the filing of this Lawsuit, the government of Pakistan, registered many false cases against the petitioner and president, PCC, Mr. Nazir S Bhatti, to stop him to present himself in the court hearing. Blasphemy Laws in Pakistan Penal Code. Until 1980 the penal code enforced in Pakistan was in its original form of 1860. It was the British government that established these laws in the subcontinent being British colony. Penal Code section 295 provided punishment for those who destroyed, damaged or defiled any place of worship or emblem of faith, with the intention to insult the religion of any class of persons or the knowledge that any class of persons is likely to consider such destruction as an insult. Two years imprisonment was the maximum punishment for some one accused of such an offence. In 1927 amendments were made to this formulation and Section 295- A was added. According to this, punishment could be doled out to those who had the "deliberate and malicious intention of outraging" the religious sentiments of any class of citizens, by words written or spoken, or by visible signs. The importance of the requirement that "deliberate and malicious intention" of the accused must be proved was greatly emphasized upon, in order to avoid chilling valuable speech. Since without such an intent requirement a simple statement of any alternative religious belief could become punishable, if it had the residual effect of "outraging" an overly sensitive and too easily offended person. These laws were designed to curb religious violence, as religious and sectarian issues were commonly used at that time to manipulate political gain. The main purpose of these laws was to protect the religious feelings of all citizens with no preference given to any religion sect or group and to develop understanding and harmony among all citizens equally. In the present situation it is most unfortunate that these laws made to establish religious tolerance have been amended in ways which seriously undermine that tolerance. Pakistani governments, in their zeal to Islamize their laws, have turned a blind eye to the basic rights of their citizens. Their passion to Islamize the entire Pakistani society has led to serious abuses against the Religious minorities. Under the dictatorship of Mohammed Zia -Ul- Haq, amendments were added to the Pakistan Penal Code. Section 298 -A was added in 1980. On use of derogatory remarks, respect of holy personages. whoever by words, either spoken or written or by visible representation, or by any imputation, innuendo or insinuation, directly or indirectly. defiles the sacred name of any wife or member of the family of prophet Mohammad, subject to three years imprisonment. In 1982, another amendment was made and section 295-B was added in PPC, punishable with imprisonment of life. In 1986, section 295-C, was added, the most serious, controversial and presently invoked amendment was made, a capital punishment of death penalty. In each of these amendments,298-A, 295-B and 295-C, the necessity to establish the deliberate and malicious intention of the accused is totally avoided. The measure of guilt depends entirely upon the subjective perception and sentiment of the hearer. The intention and knowledge of the accused is not taken into account easily allowing for prosecution of imputation, innuendo, or insinuation, directly or indirectly. The terms ' derogatory remarks ' or ' defile the sacred name ' are very vogue and broad based. Blame can easily be placed, and is used as rivalry and personnel grudges against Christians. The accused is snared in the web of the Pakistani Islamic Judicial System. Its very interesting that prior to 1980 there were almost no allegations of blasphemy. 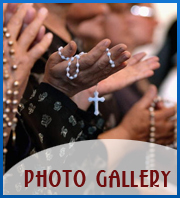 There have been many arrest of Christians under section 295-B &C in Pakistan. some have been brutally murdered in day light from hands of radical Muslims, some killed in jails and police lock ups. Its fact that accused under blasphemy are not safe and cant fairly in trials of courts.